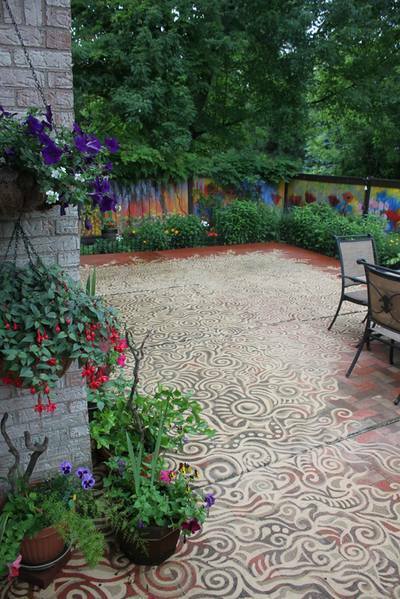 When we bought this old house, it had a very thick concrete patio, wrapped around by a solid wooden fence. 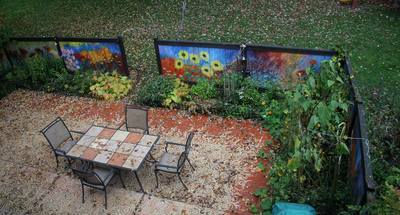 There was a substantial garden bed in front of it. 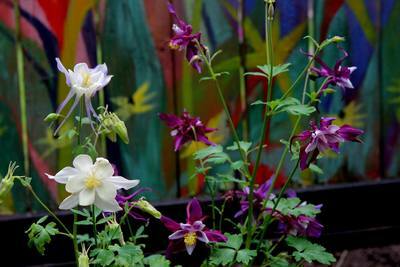 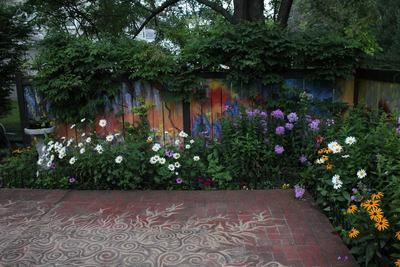 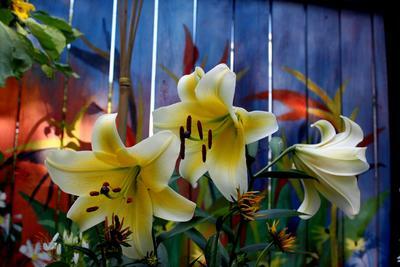 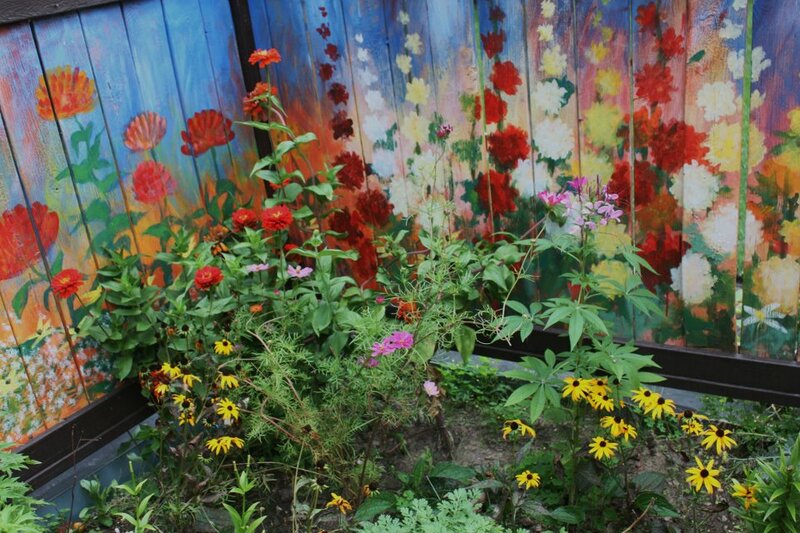 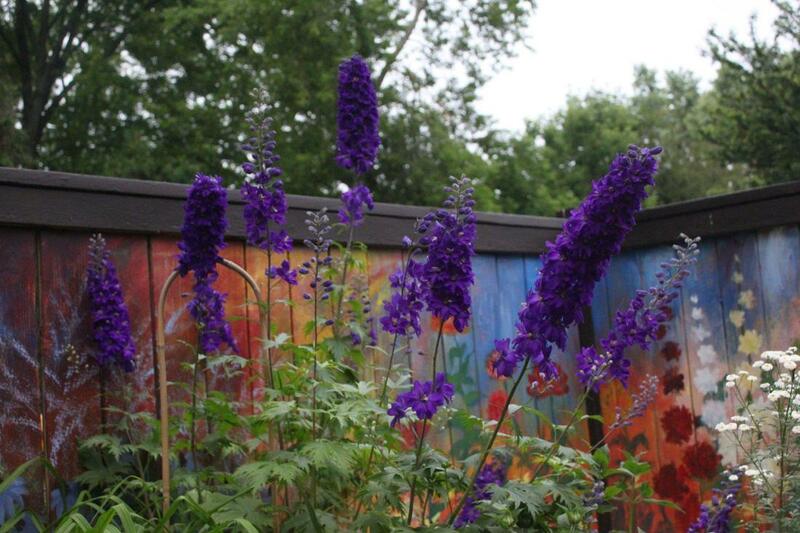 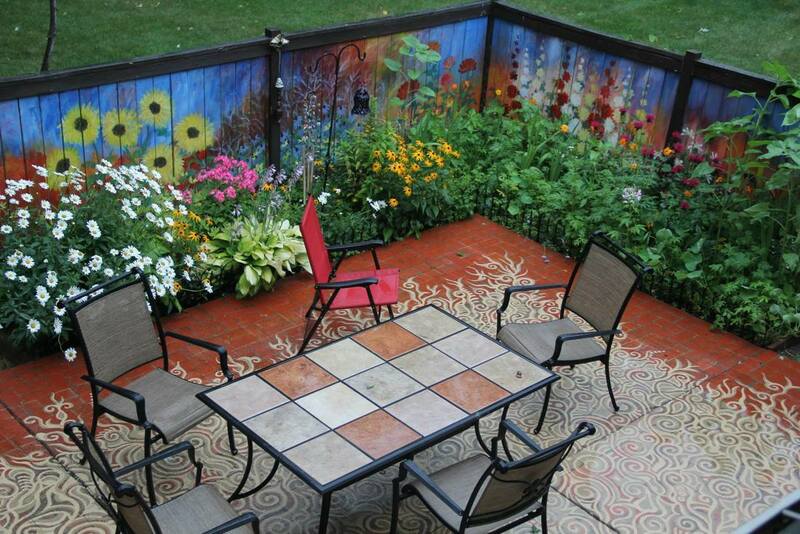 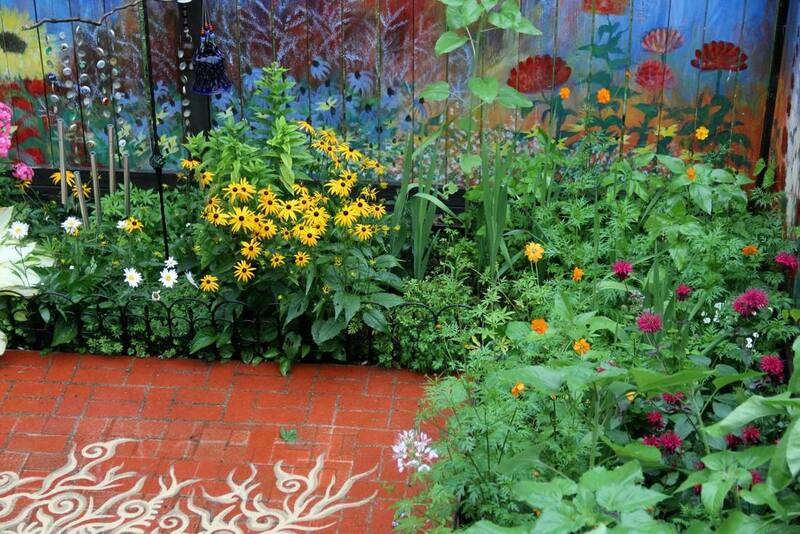 The fence was distressed from no maintenance and so it soon seemed a perfect surface to paint on. 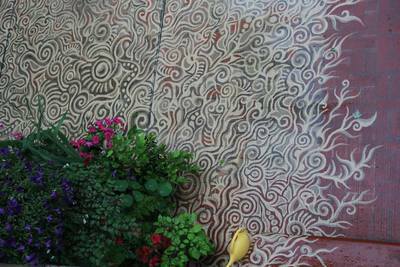 After a few power washes I decided to paint murals on it as a backdrop to a garden which could be planted in front of it. 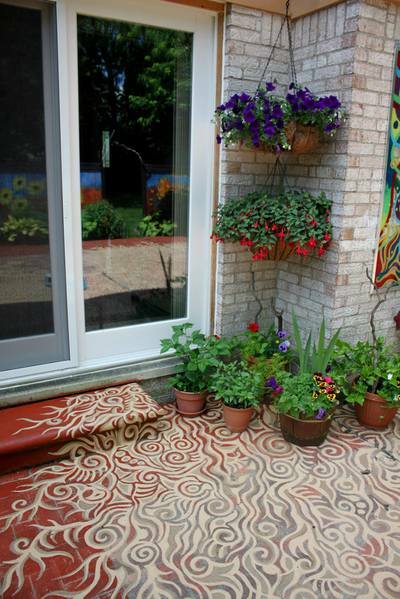 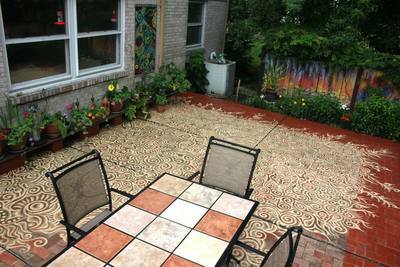 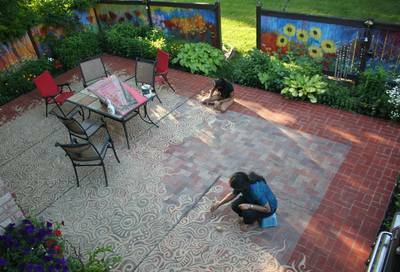 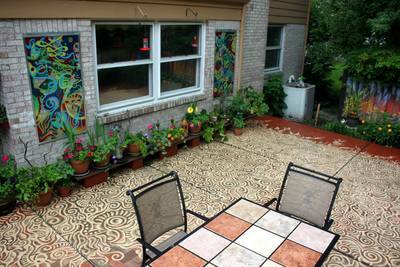 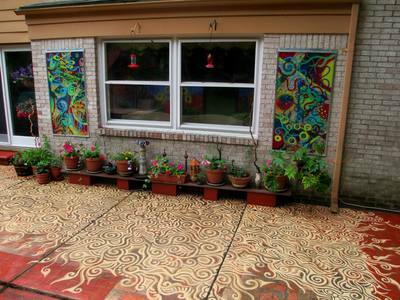 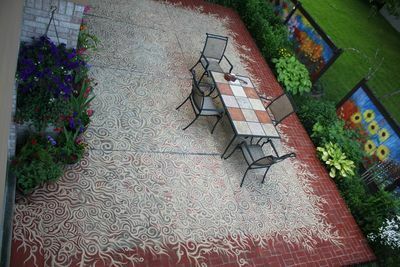 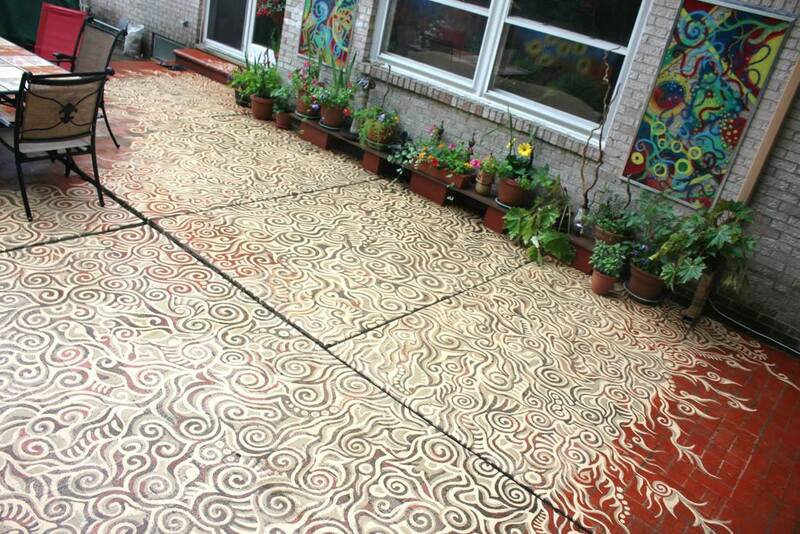 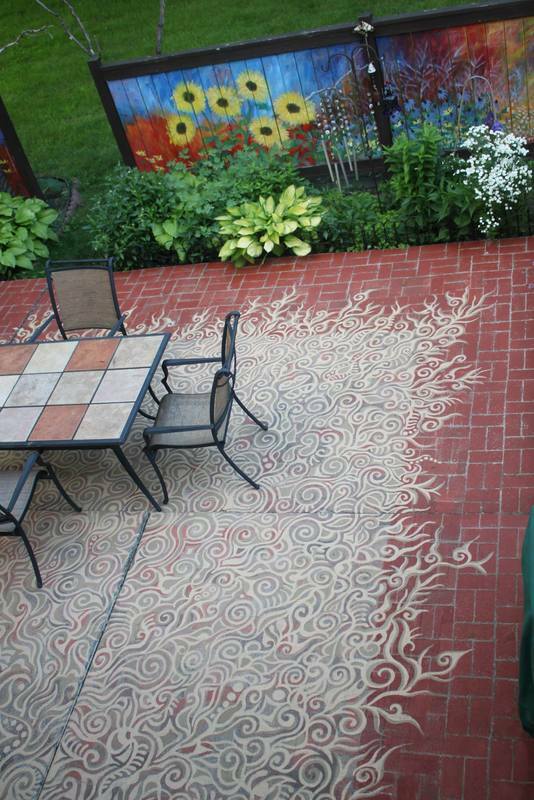 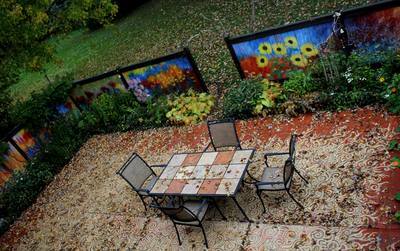 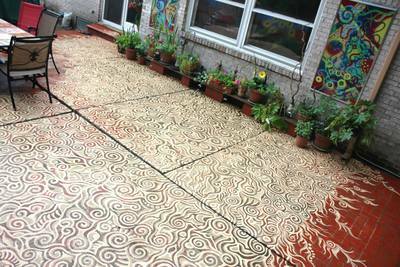 I also stamped the entire patio in brick pattern to give it a paved look. 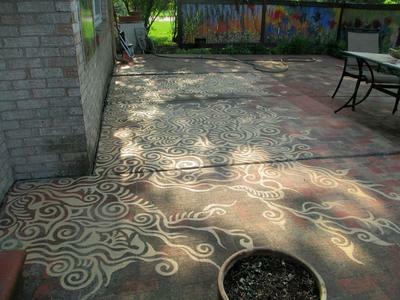 It stayed that way for a while until a few years back my daughter and I decided to draw freehand doodles on it using exterior porch paint. 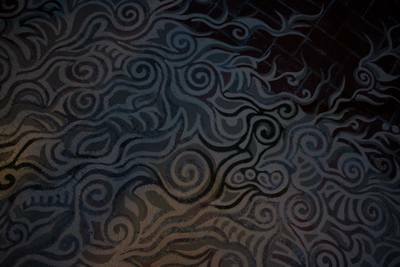 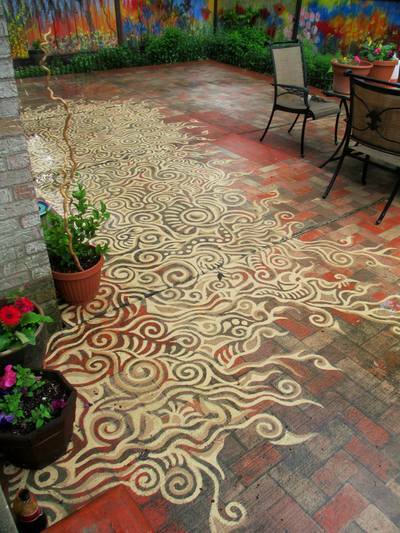 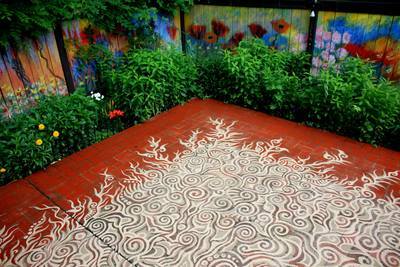 I had grown up seeing ephemeral floor paintings called alpona during many festivals, rituals, and ceremonies back in India. The school I went to for my undergraduate studies had a special genre of alpona and so the lifelong affinity for this ephemeral art developed very naturally. 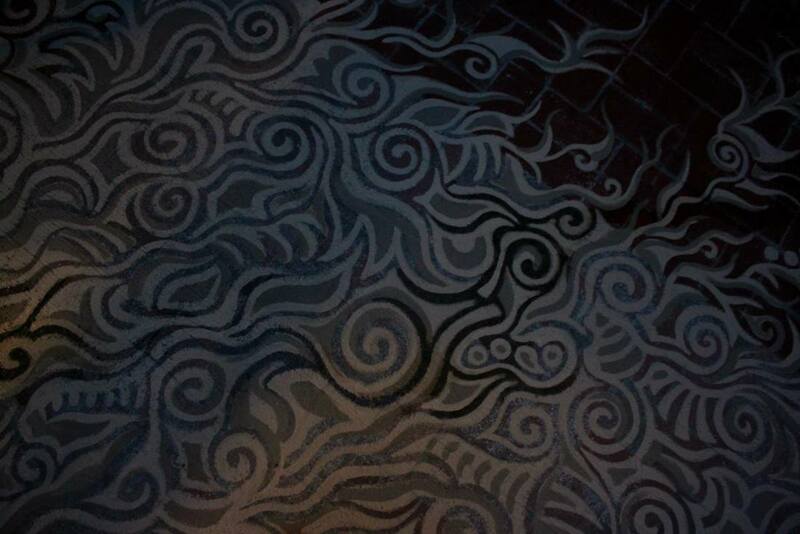 I drew them whenever I got a chance. 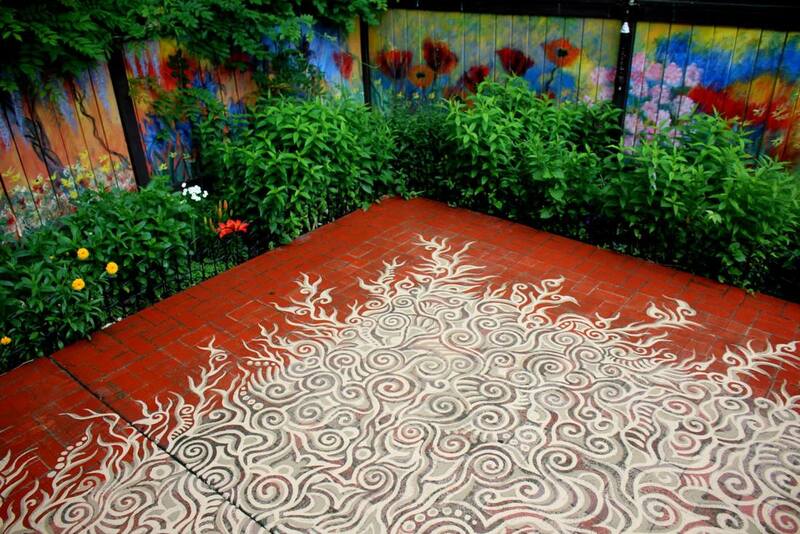 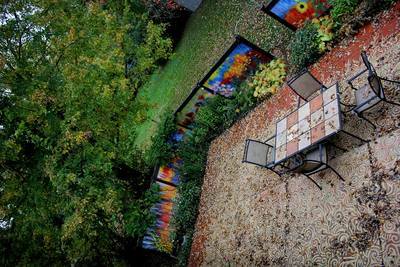 So when we decided to floor paint on our patio we had that in mind and it ended up being one of our best collaborations! 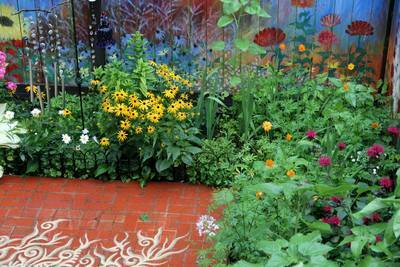 But due to the extreme winter conditions in Michigan, it has been quite challenging to maintain it but it is worth the effort. 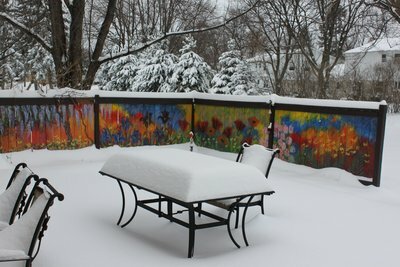 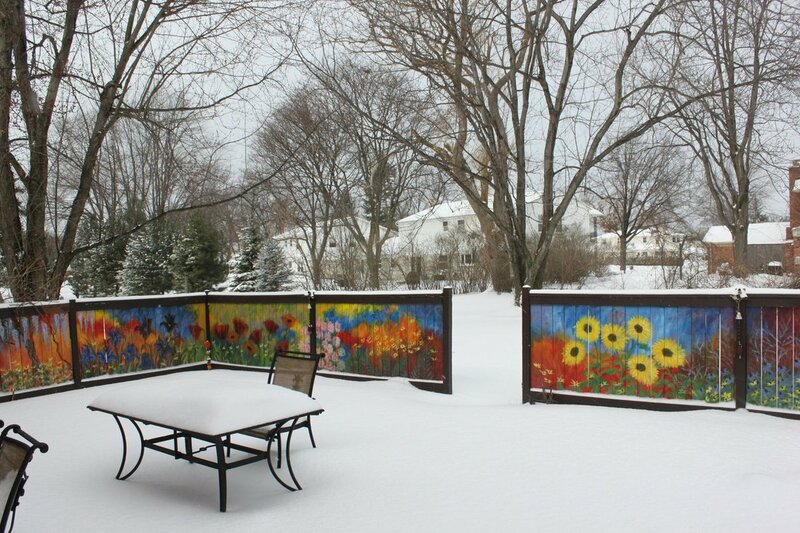 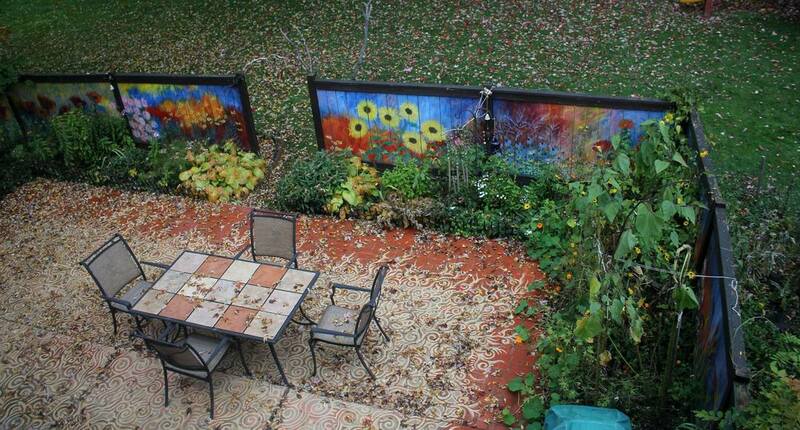 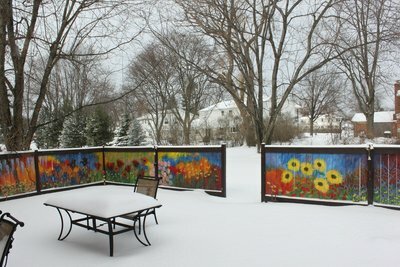 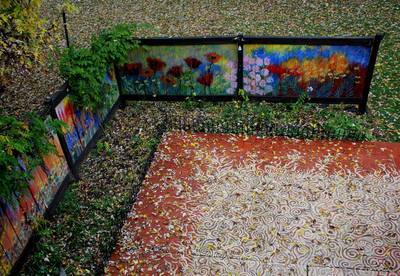 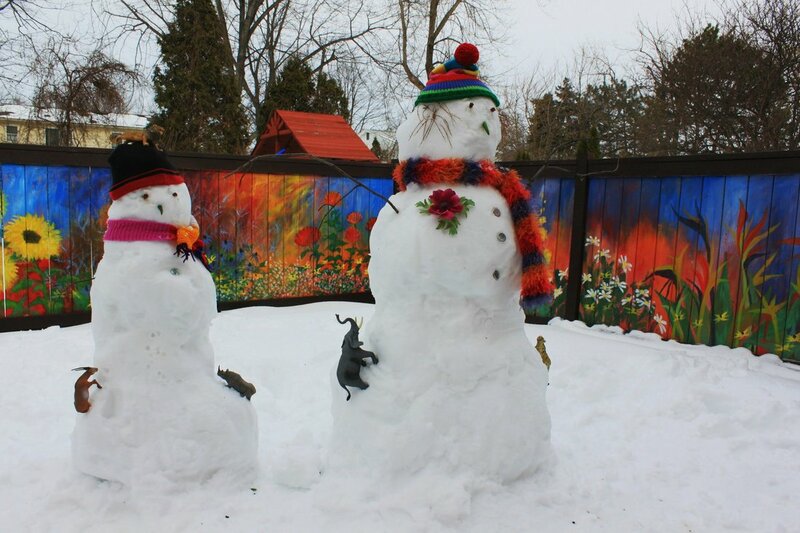 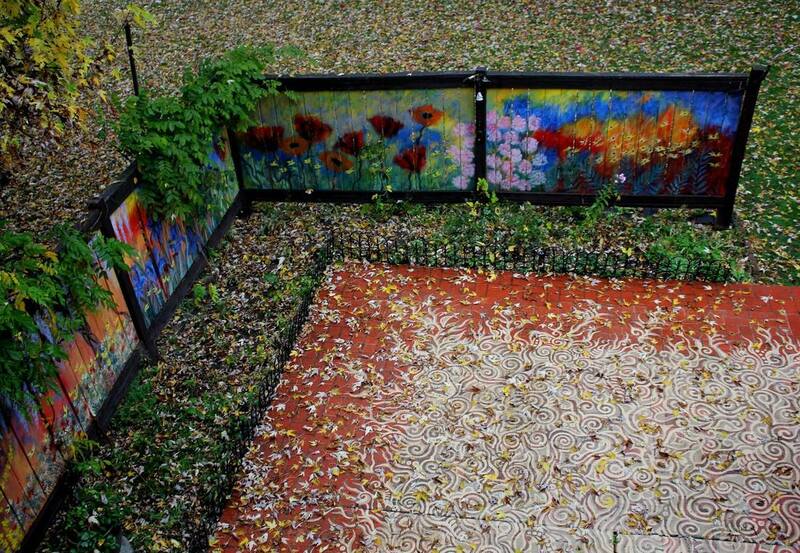 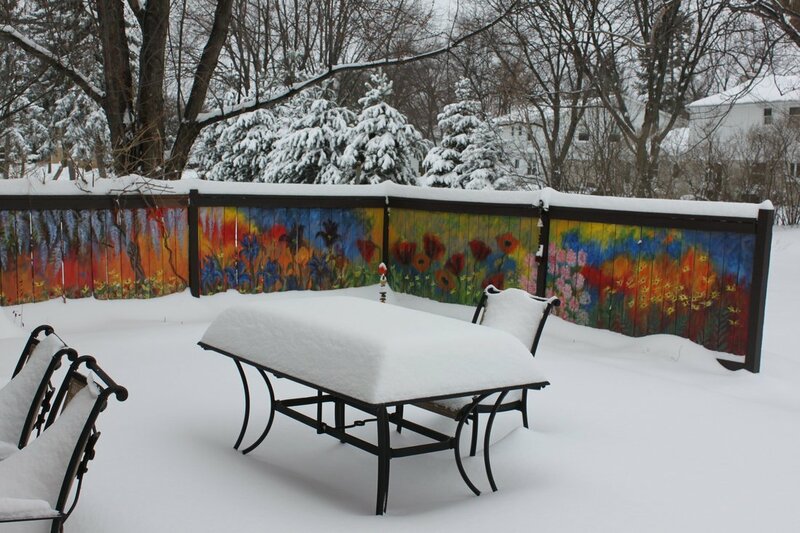 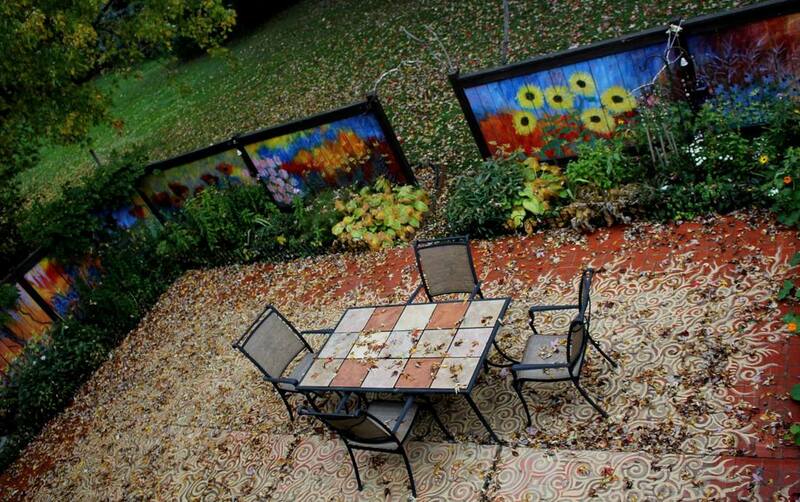 The bright fence along withe floor painting has a different look every season and specially in winter it has a very surreal look!